If you’re sick of seeing vampy, christmas-colored nail designs, then I’ve got just the right mani for you! 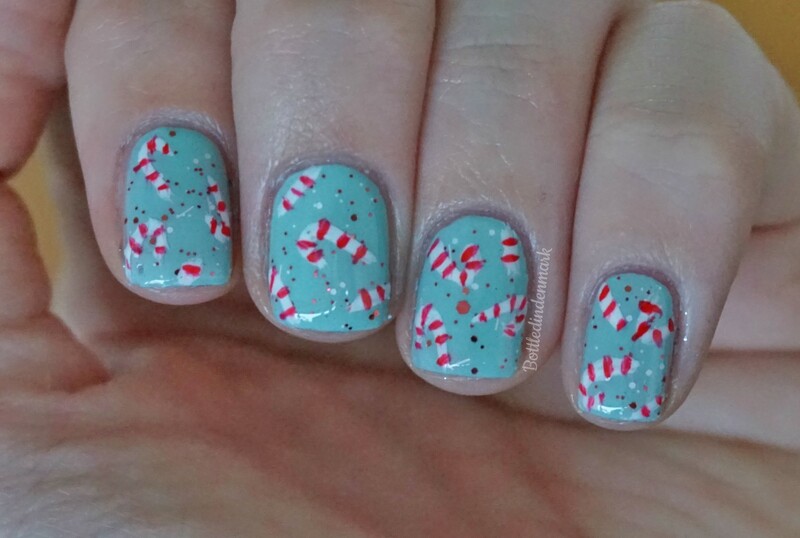 It’s a bright, mint colored mani that’s still really appropriate for the holiday season. 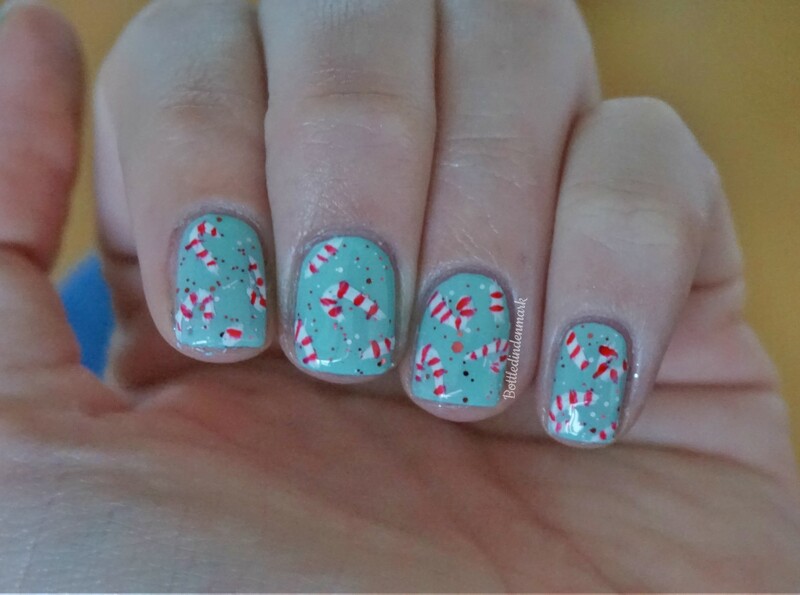 I’m actually really loving the mint+red/white glitter combo! Looks much better than I imagined. Very cute! I love that mint green color. Me too! Especially with the red/white glitter on top! I used to have a Christmas wrapping paper with candy canes on it and this exact shade of blue was the background!